The symbol of Covenant Woods’ commitment to lifelong care is Manor East, a healthcare wing that has undergone a large-scale expansion in 2018 and 2019. 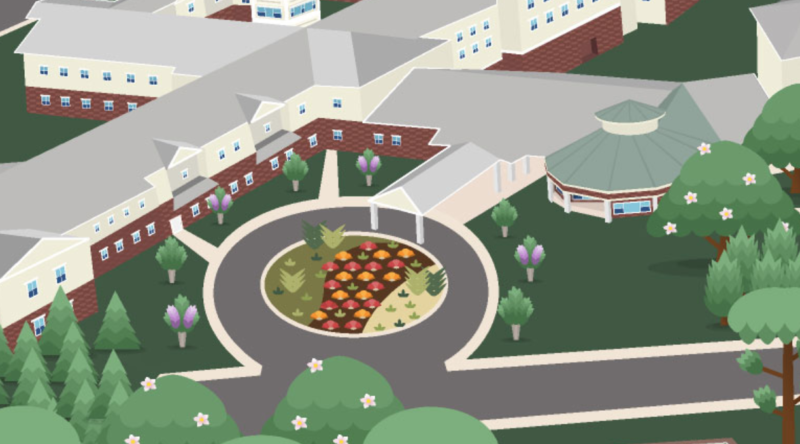 The new wing has added outdoor courtyards for memory care and assisted living residents, additional common areas and living rooms, and smaller nooks for reading and private interactions. Four seasonal rooms allow residents to remain indoors yet open large windows to let in the sun and feel the fresh Virginia breezes. Manor East is secure yet accessible anytime by independent living and families, allowing people to visit family or friends receiving care. All 120 rooms are private – an uncommon offering in Richmond area healthcare communities. Secured, outdoor courtyards feature poured rubber surfaces that give a softer step than concrete. We are a participating Medicare provider of skilled nursing for both residents and individuals from around the community in need of short-term rehabilitation or longer-term care.